While I am out celebrating the 50th anniversary of Mathlete’s parents, I have a few amazing bloggers here sharing their awesomeness. Today, Amy is sharing her super fun Halloween Glittered Skull Wreath. 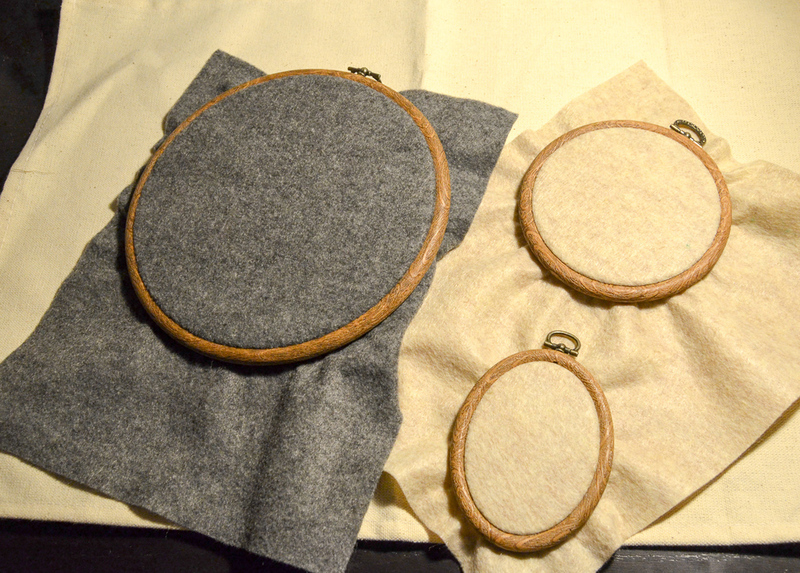 Read on to find out where she got the supplies and how to make it. Hello friends! I’m Amy from Mod Podge Rocks (and DIY Candy, and Washi Tape Crafts!). I think we’re all in the Halloween mode, and I had to share a recently completed project with you that I just LOVE. I’m a huge fan of the Dollar Tree, and it’s always a fun challenge to head there and see what I can come up with. I knew I wanted to do something Halloween-related and use FolkArt Extreme Glitter, but besides that, I had no idea what I was doing when I walked into the Dollar Tree. 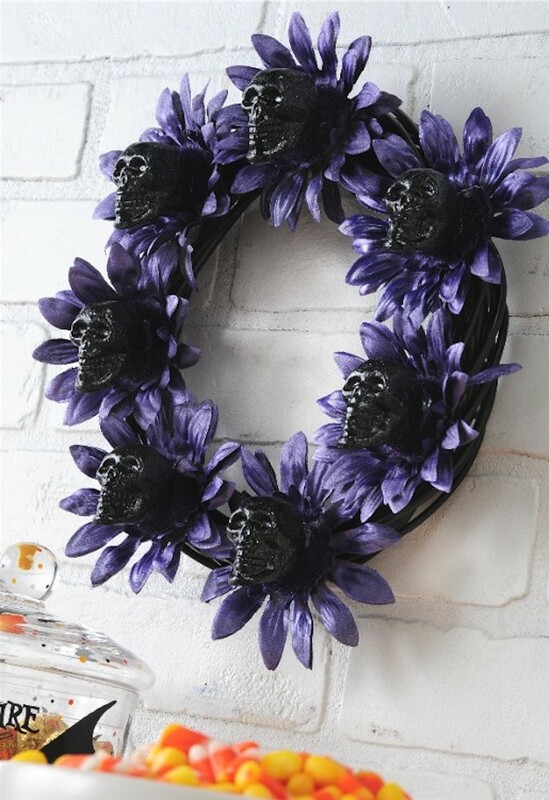 It was SO much fun, and this skull wreath resulted. I love fall! After spending a week at the beach, I am looking forward to cooler temperatures and all things fall! Today’s guest post is all about getting ready for fall with a super fun craft: fall felt hoop art! 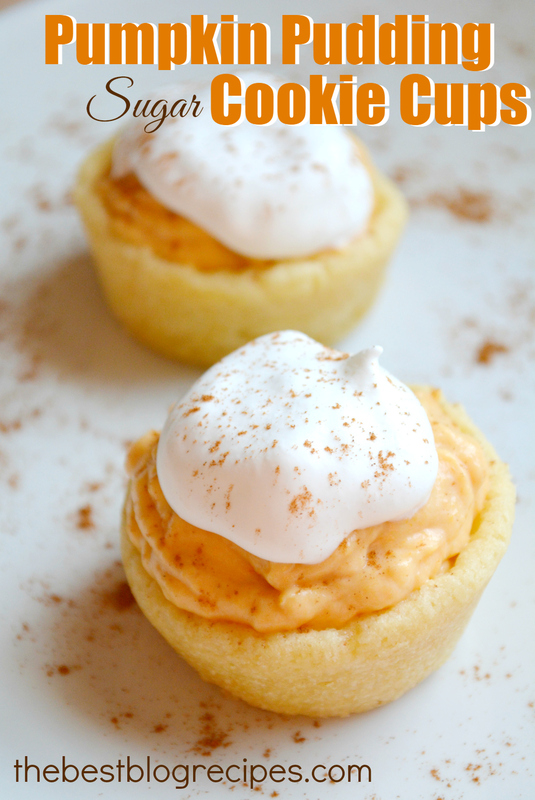 I’m so excited to be guest posting for Shannah! My name is Albion, but most people call me Abby and I blog at Albion Gould. I have four young daughters, so I enjoy projects that don’t take a lot of time or can be done in bits and pieces. 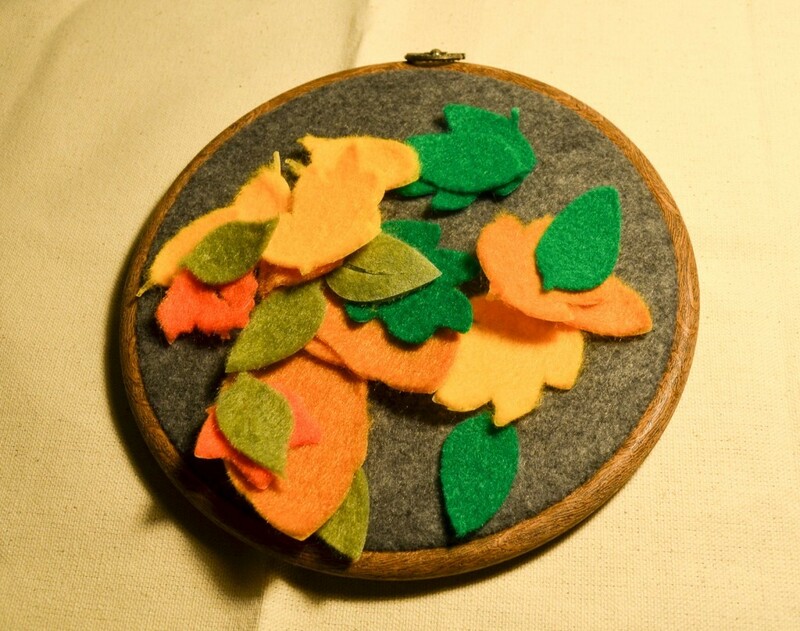 In that vein, I’m sharing an easy fall felt hoop art craft with you today. Fall is my favorite season and if I could live in a world where it’s fall year round, I would. I love seeing the leaves start to change colors and there’s nothing better than that fall wind with them swirling around. 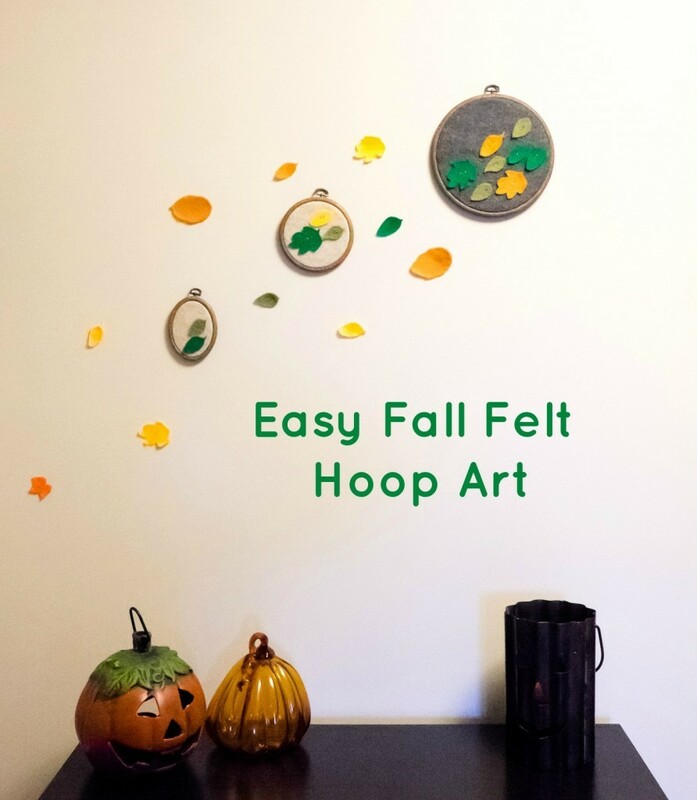 I tried to create hoop art to reflect that. 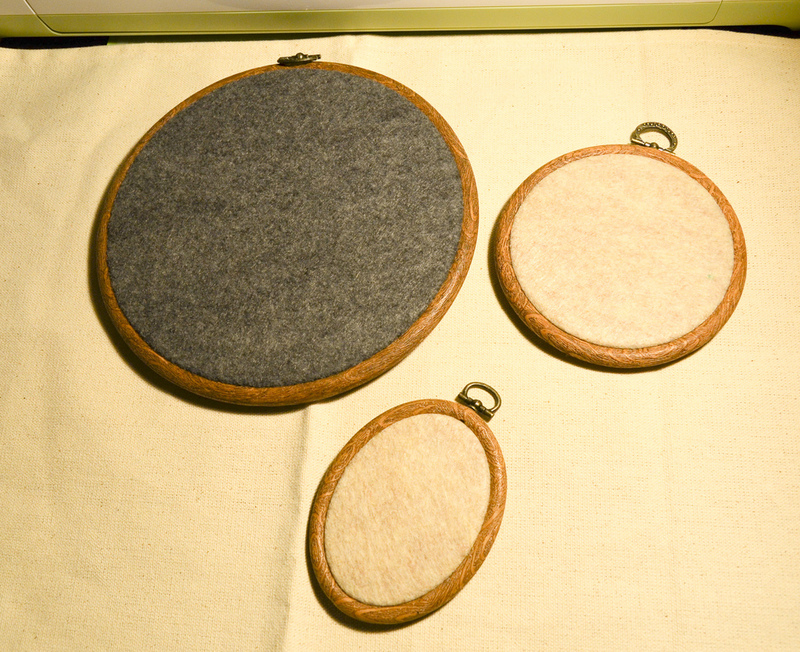 Start by putting your base colors of felt in the hoops. Trim the excess felt. 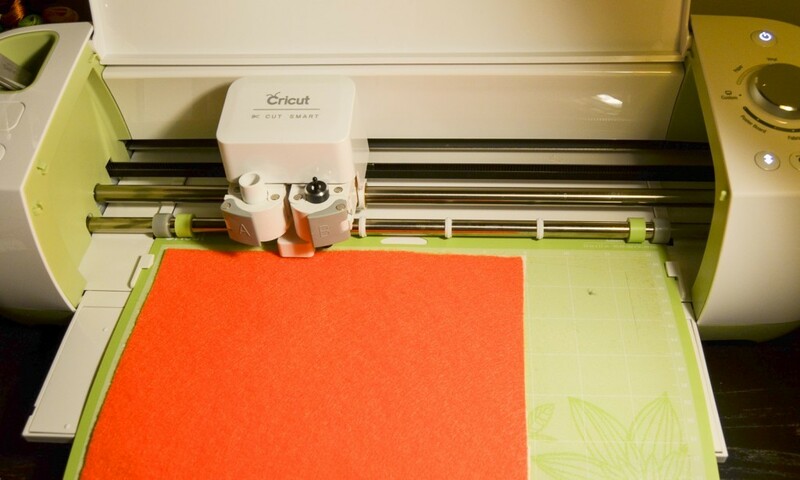 I used my Cricut Explore to cut out my leaves. 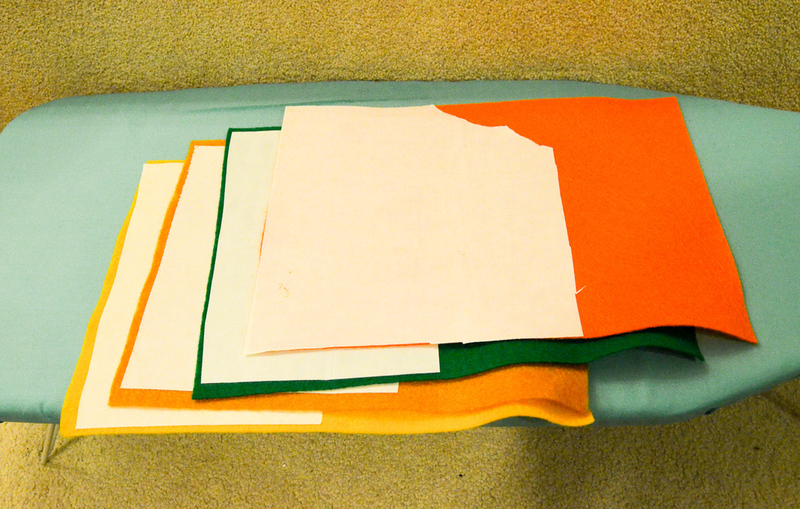 I ironed on interfacing to the felt, loaded it into the Cricut, and cut out all the leaves I wanted. When you have your pile of leaves, start arranging them how you want. I imagined a breeze coming from one direction and swooping them across the hoops. 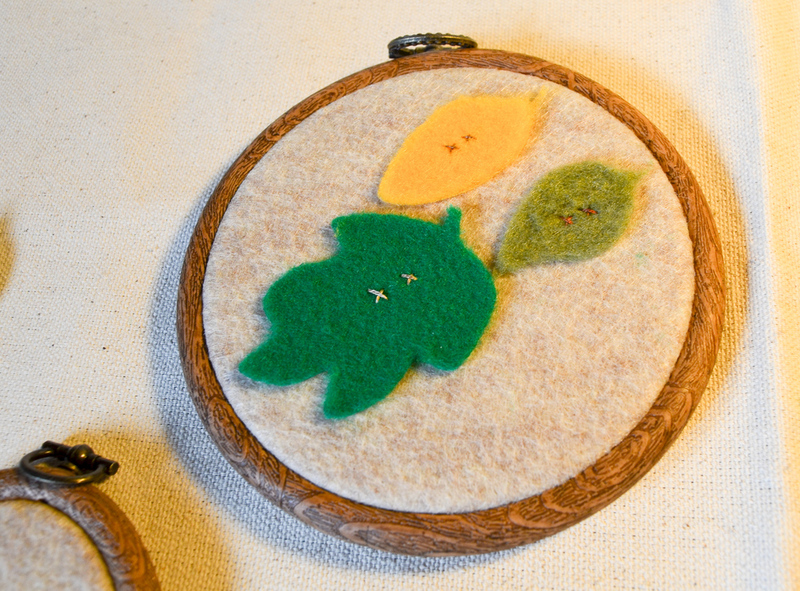 Once they’re placed where you want, stitch each leaf onto the hoop. I used two cross stitch stitches on each leaf. 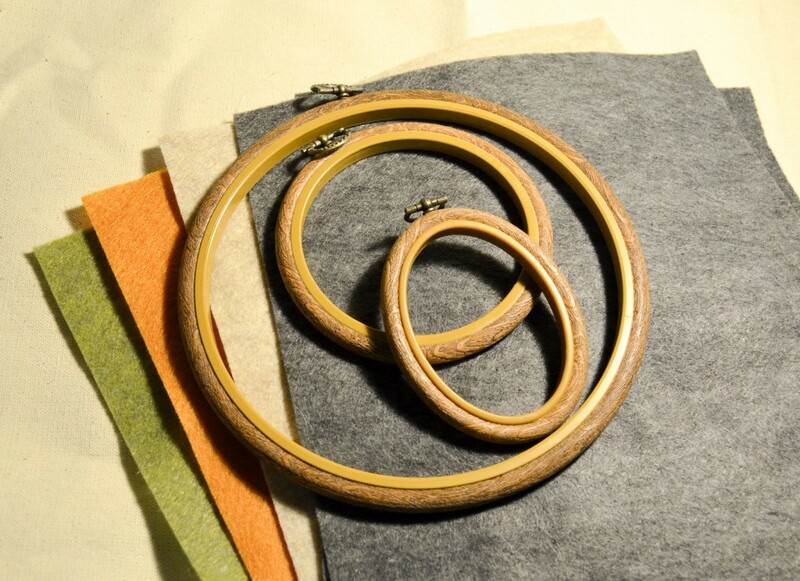 You’re ready to hang your hoops! We have a corner that never got decorated properly, so we use it for seasonal decorations. 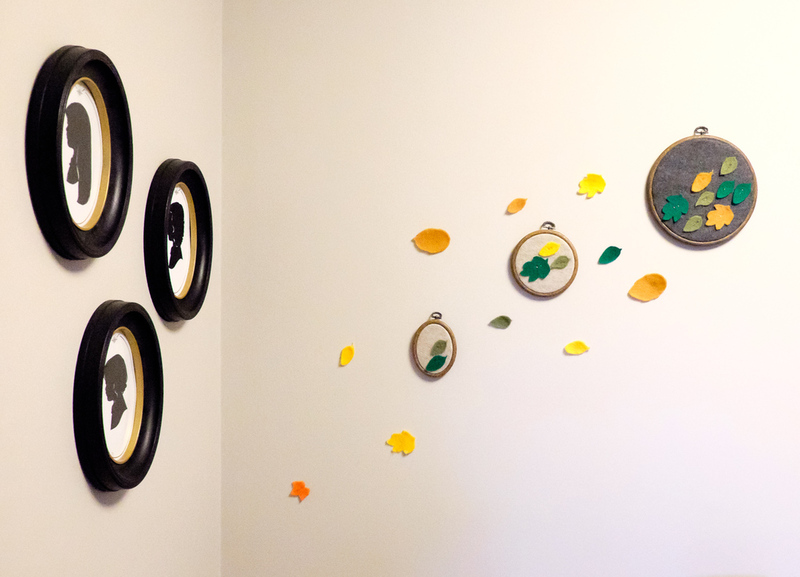 I had some extra leaves and let the girls stick them on the wall with some painter’s tape (kids and stickers, right?!). 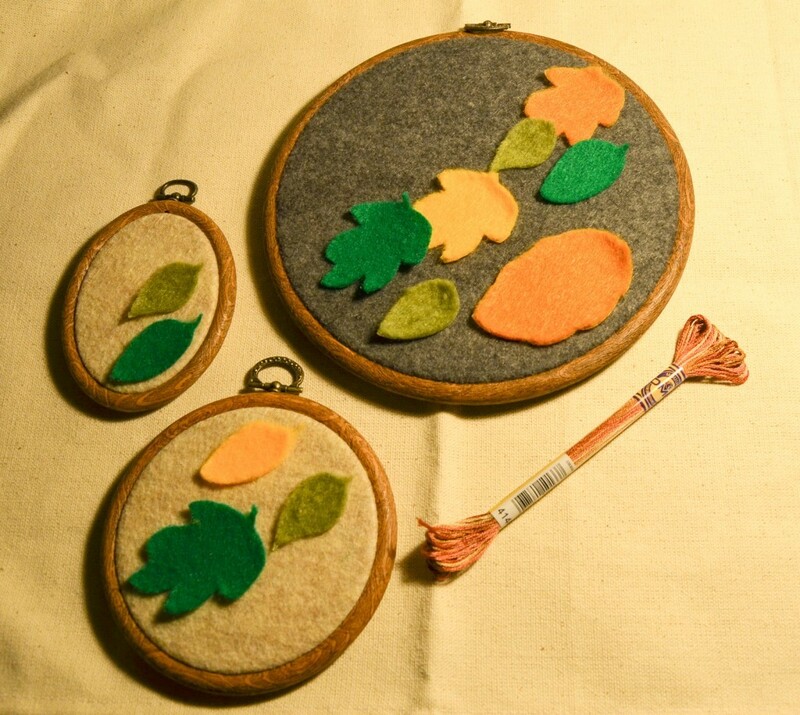 I hope you enjoyed this easy fall felt hoop art craft! I’d love for you to come over and check out some of my other recent projects, like my Felt Fascinator, Coffee Love Mug, and Fall Candle Centerpiece. Thanks so much for having me, Shannah! Happy Friday! If you are looking for the Pinworthy Projects Party, don’t worry…it is still here! Just scroll down. 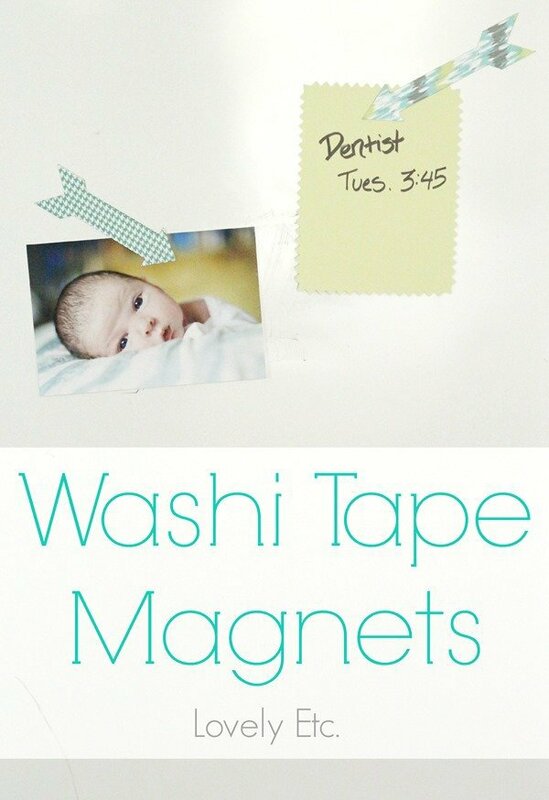 BUT, be sure to check out these amazing washi tape magnets that Carrie has to share first. 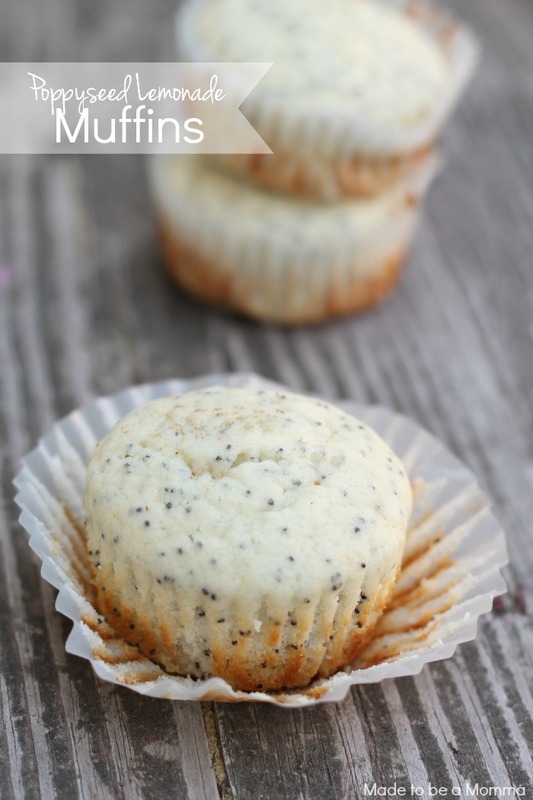 They are super cute and so easy to make. Hi, I’m Carrie and I blog about creating a lovely home for less at Lovely Etc. 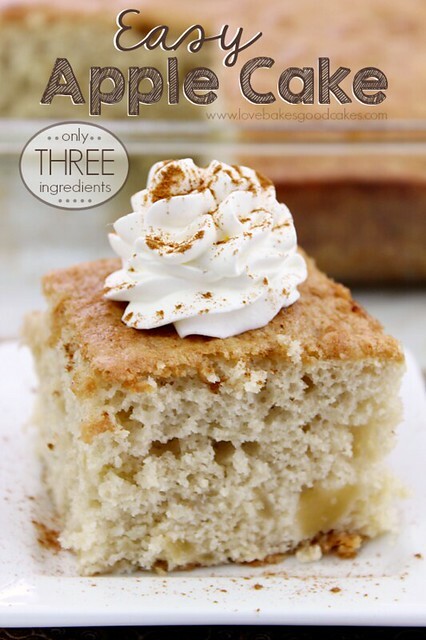 While I adore being a wife and mom, I also have an insatiable need to create! 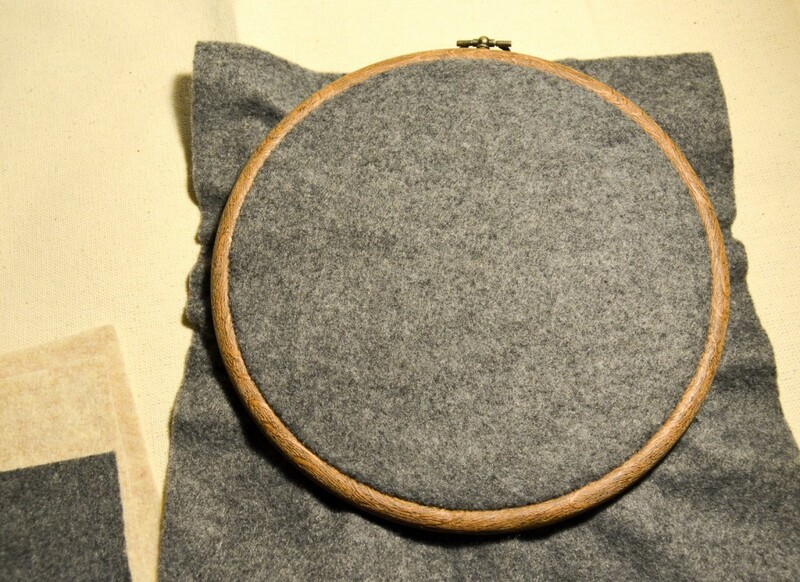 I love figuring out how to make beautiful things – even if it means firing up a few power tools. And I am all about finding ways to create exactly what I want for as little money as possible. 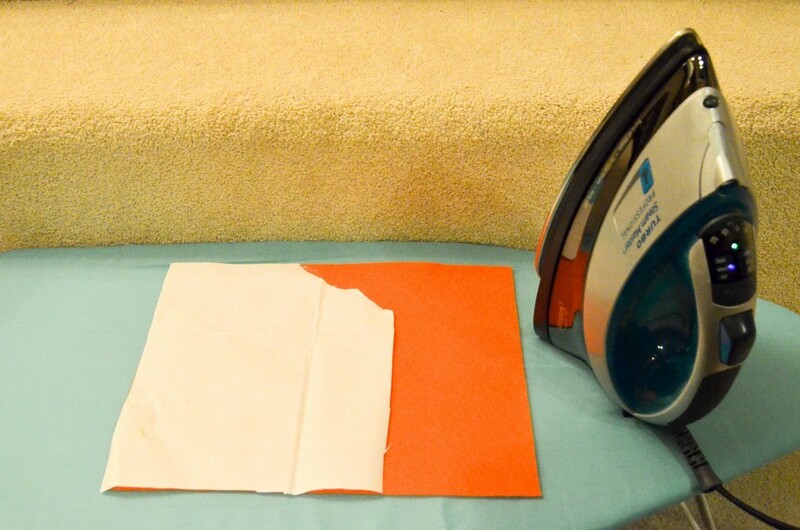 I usually have at least five or six DIY projects going on at any one time and they are pretty much guaranteed to involve an awesome yard sale find, my trusty jigsaw, or my vast collection of turquoise paints. I have a super simple, fast, and inexpensive project to share today – which is basically the best kind of project! 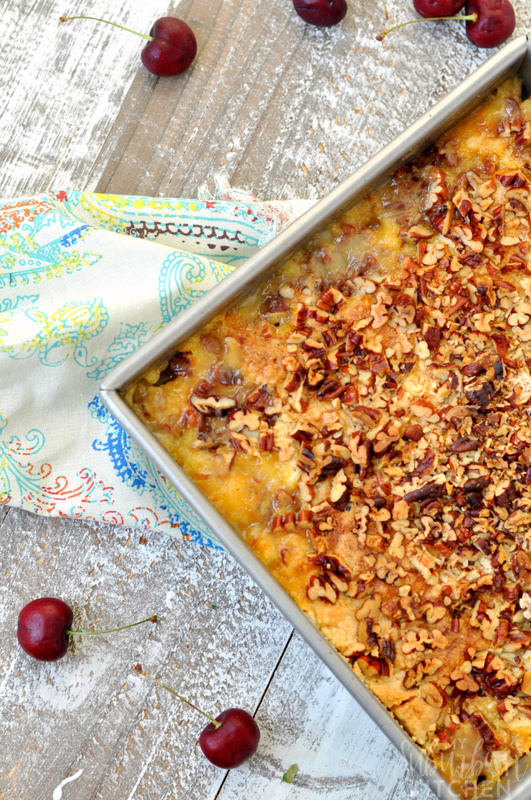 Some nights, the microwave is our saving grace when it comes t getting dinner on the table. 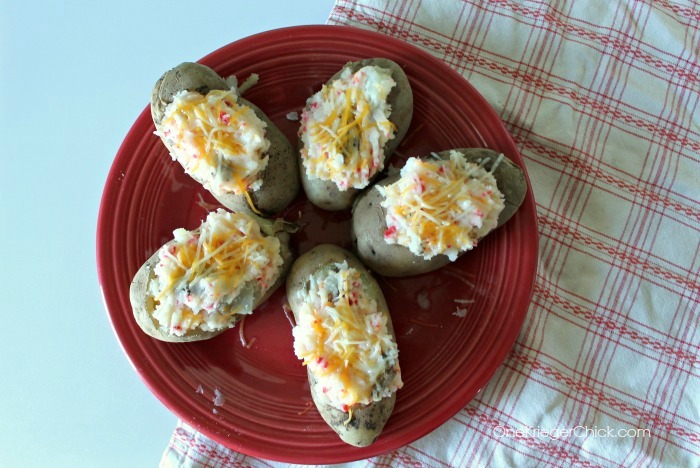 Today, Ariean is sharing an awesome recipe for making microwave twice baked potatoes!